A recent study from the Bank of Scotland has found that the cost of owning and running a home in Scotland has risen to the highest level in a decade. The study found that in in January 2012 the average annual amount spent on house costs was £8,523 and this represented a jump of 50% over the last ten years. Average mortgage repayments have actually fallen by almost a quarter over the past four years, from £3,775 in January 2008 to £2,910 in January 2012. We must therefore look elsewhere for the causation of these worrying increases. 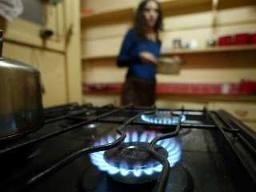 In fact gas and electricity price increases accounted for 92% of the ten year doubling of home owners' costs. Apparently, home owners' running costs have risen in all the UK regions over the past 12 months, with Scotland recording the third highest increase. This is further evidence of why so many households are feeling the pinch as their living costs rise and the value of their income from work is reduced; all symptoms of folk surviving in the squeezed middle. The soaring cost of home energy highlights why Labour's commitment to develop ways in Dundee for the bulk buying of energy at a discount could make a significant difference.